Cold Stone Creamery is a chain of ice cream stores in the United States. The company focuses primarily on ice cream, chilled and blended on a frozen stone (hence the name). However, they also provide other products such as cakes, cookies, milkshakes, and coffee drinks. They are dedicated to creating an entertaining and enjoyable experience for customers. 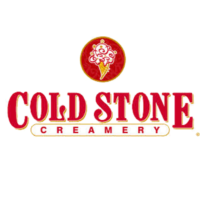 See the link below for the Cold Stone Creamery application. Susan and Donald Sutherland founded the chain in 1988, expressing a desire to produce ice cream that was neither soft-serve nor rock hard, but unique in the industry in its smoothness. The first store was located in Tempe, Arizona and is still open today. The first franchise store opened in Tucson in 1995, and a California location followed shortly afterward. Today, the company has stores worldwide, including Brazil, China, Japan, Mexico, the United Arab Emirates, and many more. It is the sixth best selling ice cream in the United States. Kahala Brands, now the parent company, recently reached an agreement with Tim Hortons, a coffee chain in Canada, to open co-branded stores that sell both products. The company is passionate about giving back to the community. They contribute both to local improvement efforts and to national programs such as the Make-a-Wish Foundation. Recently, an Orlando store helped a child with a degenerative sight condition complete his “sight wish list” by allowing him to come behind the scenes and watch how the ice cream is made. They have won numerous awards for the quality of their product, including Nation’s Restaurant News’s Consumer Pick in 2013 and a top 50 spot in Entrepreneur’s Franchise 500. The worldwide respect for this brand and their energetic and enthusiastic approach to producing ice cream make this a great place to work. See the link below for how to apply for Cold Stone Creamery online. There is no printable application form. With locations worldwide, the job opportunities are endless. Applicants can find Cold Stone Creamery jobs inside their local store. These positions offer a fulfilling and exciting work experience. The company is adamant on only hiring the best and most enthusiastic employees to make their ice cream. In fact, they hold a small “audition” along with the interview to see how well you can have fun. Professionals with college degrees can also find fulfilling Cold Stone Creamery Careers at the headquarters in Scottsdale. Desired specializations include information technology, law, marketing, human resources, and more. There are also several similar careers at remote field locations across the globe. The link to apply online is listed at the bottom of the article. How old do you have to be to work at Cold Stone Creamery? The minimum age to apply for jobs at Cold Stone Creamery varies by location and is in accordance with local child labor laws. However, it is usually 16 years old. There are other requirements to qualify to make their ice cream as well, such as the ability to stand and walk for long shifts. Cold Stone Creamery jobs come with a competitive employment benefits package. Part time employees enjoy flexible scheduling as well as one free serving of ice cream a day and discounts on ice cream products. Employees can also receive tips, provided they’re willing to sing for them, as is the company’s policy. Full-time employees receive an additional standard benefits package including a 401k and health insurance. Hours of operation vary by store. However, most stores are open 11am-9pm Sunday through Thursday and 11am-10pm Friday and Saturday. Below is a job description list for several Cold Stone Creamery jobs online. Crew Member- This position prepares the ice cream for customers and provides them with an exceptional experience. Responsibilities include greeting customers with enthusiasm, taking and fulfilling their orders, providing them with upbeat and entertaining interaction while they wait, and keeping the store clean and tidy. Applicants for this position should be energetic and not afraid to interact with people, as the company is determined to provide a memorable customer experience. Average salary is $8/hour. Store Manager- This position oversees all operations in a single store and ensures that customers are completely satisfied. Responsibilities include interviewing and hiring new crew members, arranging schedules, ordering product and managing shipments, and interacting with customers to ensure they’re having the best experience possible. Average salary for this position is $38,000/year. Assistant Store Manager- This position is an understudy to the store manager. Responsibilities include helping the store manager with tasks such as ordering product, handling crew members, and managing schedules. If, for whatever reason, the store manager is unavailable, the assistant manager is in charge of making managerial decisions. Average salary is $12/hour. Shift Team Leader- The manager and assistant manager cannot be at the store at all times, which is why there are shift team leaders. The shift team leader operates as a crew member, but has the added responsibility of ensuring that all crew members perform their duties efficiently and handling other administrative tasks like receiving shipments. Average salary is $9/hour. Below are some questions you might hear in an interview for this company. Tell me about a time you had to work together with others. Chances are that you won’t be the only crew member working the store, so it’s necessary for you to be able to use good teamwork with your coworkers to create the best customer experience. Are you able to stay energetic and positive under stress? You probably won’t come in every single day ready to sing and joke with customers, but it’s a part of the job. Ensure you communicate to the interviewer that you’ll make the customer’s day great, even when yours isn’t so great. Tell me about your schedule/other responsibilities. At some point, you will probably have to work nights and weekends. Let the interviewer know about school and any other commitments you may have. Why do you want to work here? This is an opportunity for the interviewer to probe your intentions and ensure you share the company’s values. Have an honest reason that you applied there, and not that there were no other jobs. Tell me about a time you had to solve a problem. The less the manager has to tell you what to do and when to do it, the more success you’ll have as an employee. Choose a story that demonstrates critical thinking and the ability to take initiative. There is no printable application for Cold Stone Creamery. You can walk into your local store for a direct application, but the manager may suggest that you go submit an online application (see below to download application form). When you do this, ensure it is well written and organized, as is your résumé. Your quality writing skills will make you stand out among the other applications. Dress well for the interview in business casual clothing, and ensure that you smell pleasant and your hair and nails are groomed. You will be interacting with customers all day, and the interviewer will want to make sure that you represent the brand well by looking nice. Demonstrate energy and a positive attitude when you greet the interviewer: smile, use a firm handshake, and stand/sit tall. As mentioned above, the interviewer might request that you do a small “audition” as part of your Cold Stone Creamery application. This will most likely involve singing a song. Don’t worry too much about this. You don’t have to have a Broadway-quality voice to get hired. The purpose of this is just to make sure that you’re comfortable and can have fun doing something silly like singing a song. Don’t make the interview one-sided. Ask plenty of questions about things that interest you. This could be as simple as what hours you will normally be working, or as in-depth as what opportunities there are for volunteering or how you can advance your career with the company. The interviewer will actually welcome this, because it shows that you have a genuine interest in the job.